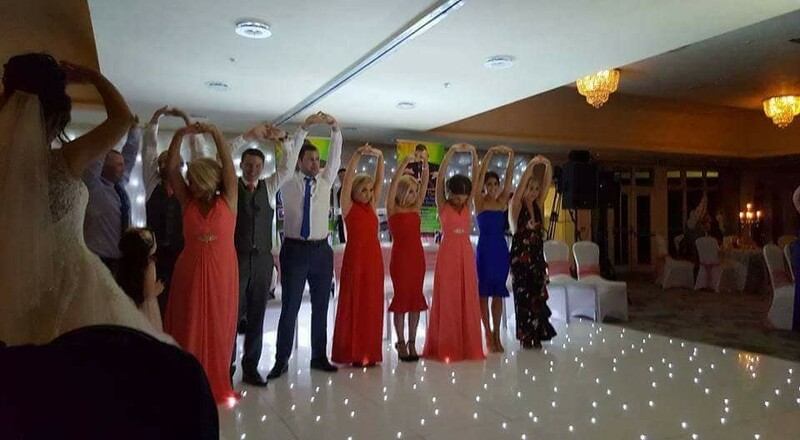 Dale Thomas is regarded as Ireland's no 1 wedding entertainer - his unique brand of comedy has taken the country by storm. Dale enters the room singing around the tables interacting with the guests, then he tells a few jokes putting the crowd at ease before getting everyone on their feet and ready to be part of the show. No one is forced to volunteer, Dale will bring up around 20 guests then narrow it down to around 10 that will become the show. The family friendly show will see them transformed to believe all sorts. 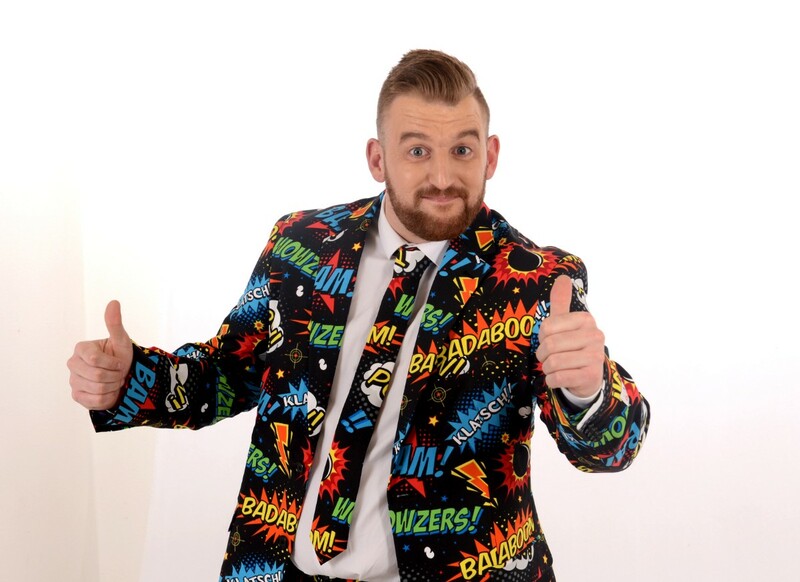 Unlike any other performer Dale takes on a role with each part of the show making the people on stage believe he's Ed Sheeran or Jeremy Kyle. Before finishing the show Dale will normally bring the bride and groom on stage and have a game of Mr and Mrs -this is a perfect chance for the photographer to get some memorable photos. remember to check out the videos and reviews on Facebook. 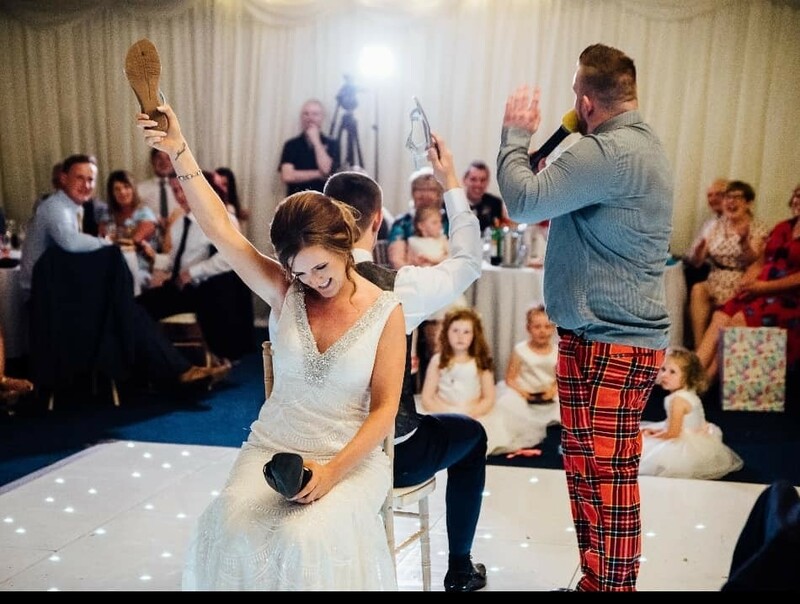 Absolutely loved the show dale provided for our wedding guests with our wedding guest. We had a great laugh and enjoyed watching our loved ones in a trance they’d never live down haha! Couldn’t thank dale and his assistant! Everyone is still talking about it. Don’t think he gets the credit he deserves. Any brides and grooms who wants to put on great entertainment for their wedding I highly recommend dale.. he didn’t have the best of space on our day but he worked with what he had and gave a great performance. Dale was one of the easiest suppliers we dealt with for our wedding. Nothing was a problem for him and he completely worked around us. Everything was so easy. 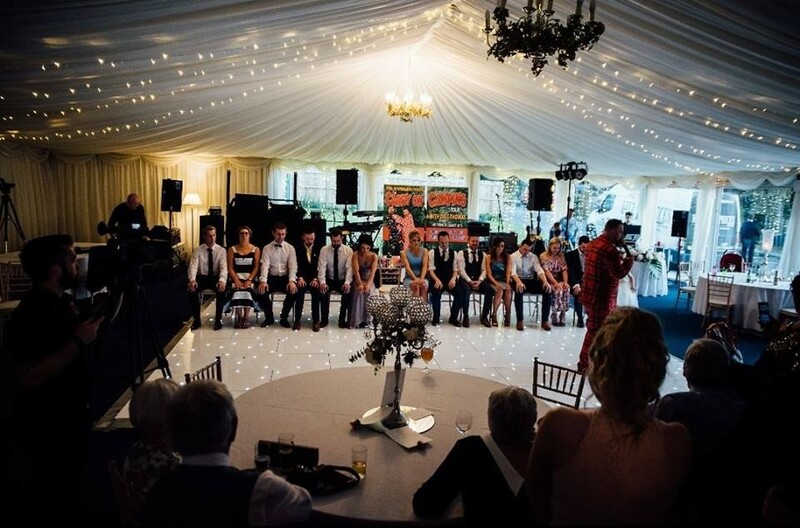 I started having doubts if booking a hypnotist was the right thing to do, especially taking older guests into consideration but everyone of all ages loved his show and I’m so glad we had him perform at our wedding. It really made the day and was definitely worth the cost. To be honest if I was going to do it over again I would definitely book Dale even if he charged twice as much. He performed immediately after dinner, while the band was setting up. It stopped that after dinner lull and everyone was in great spirits and ready to dance when the band started performing. Our wedding guests were still talking about Dale’s performance weeks after it was all over. I never met Dale before he performed at our wedding (I found him through facebook) but he’s a genuine lovely guy. 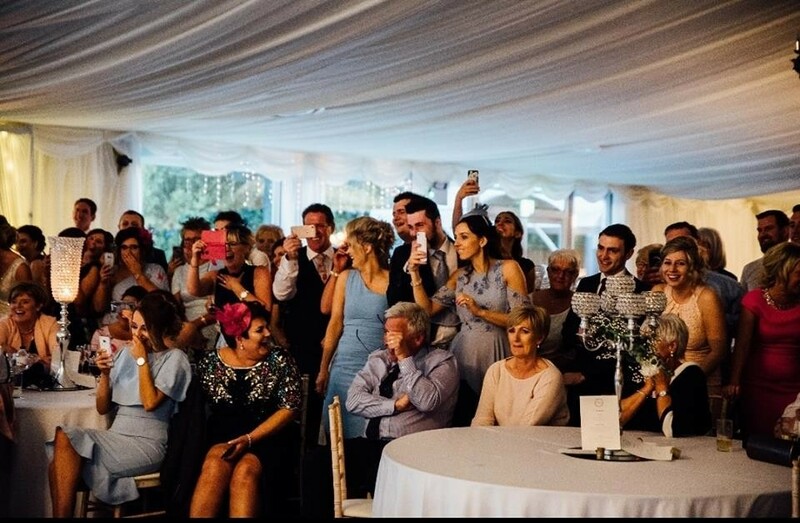 I would highly recommend him to any bride and groom because his performance will make such a difference to the atmosphere at your wedding.